May is the best month to plant roses. It's Mother's Day... the soil is cool and the days are getting longer. Did you know that today's roses are easier to care for then ever before? They are hybridized to eliminate the problems they had just a generation ago. If you are looking for roses that you can plant and enjoy, then ask our staff. We have the most popular habits. 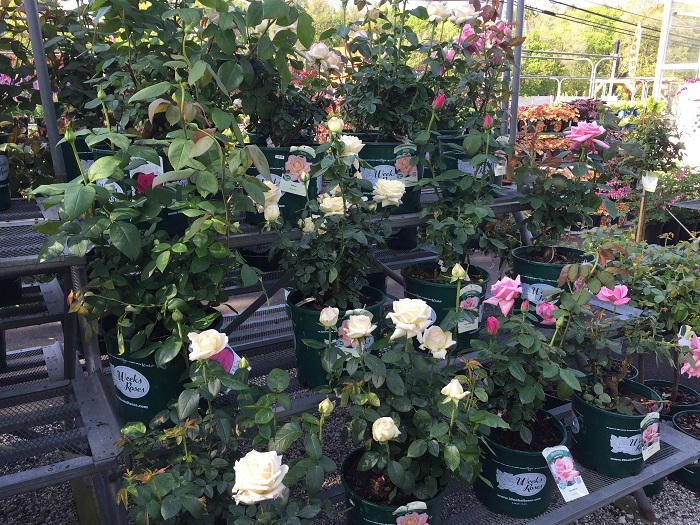 You can choose from tea roses, floribunda or shrub roses. We have many colors and styles to choose from. You will want to find a place that has plenty of sun. 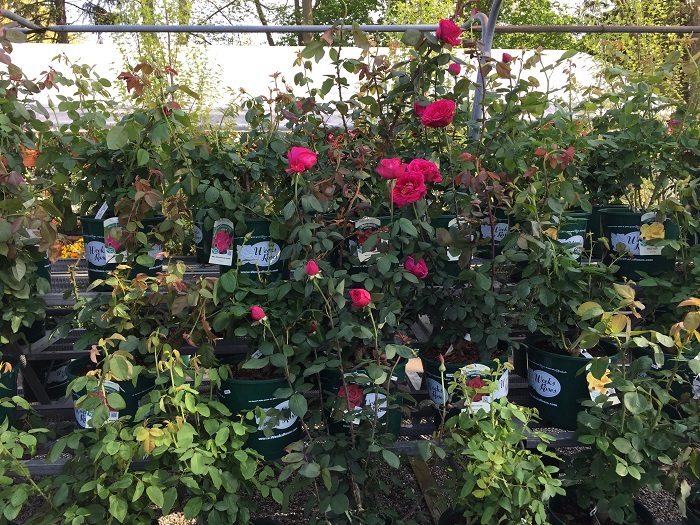 We will help you choose a soil amendment and fertilizer to make sure your roses stay fed and blooming late into September. It's also very popular to plant a rose in a container. You can choose from our ceramic or lightweight synthetic material pots. We will even transplant your rose for you.